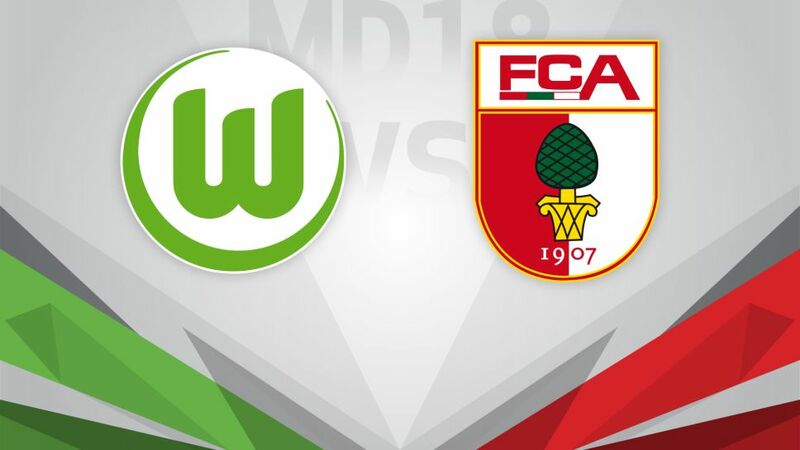 Wolfsburg will be aiming to extend their winning streak when they host Augsburg on Matchday 18. VfL Wolfsburg go in search of a fourth straight Bundesliga victory when they welcome FC Augsburg to the Volkswagen-Arena on Saturday (kick-off 15:30CET/14:30GMT). A fourth straight win is the aim for an improving VfL Wolfsburg, who will be keen to put some more daylight between themselves and the relegation zone while distancing their opponents with another victory on Saturday. Buoyed by an impressive debut by Paul-Georges Ntep on Matchday 17, Valerien Ismael’s men are in confident mood heading into the second half of the season. The same cannot really be said for Augsburg, who have won just one of their last seven games and are consequently being sucked back into danger. With Alfred Finnbogason still sidelined, scoring goals is proving to be a problem which head coach Manuel Baum will be seeking to resolve as soon as possible as the Bavarians desperately need an injection of confidence.